This post is sponsored. Please read my disclaimer for more information. Are you smothering in the heat this summer like I am? As many of you know, we currently live in Houston but are originally from Kansas. Texas summers are not like the summers I'm used to from the Midwest. They are so HUMID! But that just means I get to enjoy the swimming pool and eating ice cream every day a little bit longer, so I'm not complaining. Today’s post is all about giving you the chance to cool off a little as the month of August brings even higher temperatures. Lennox® is one of the leading names in home comfort, providing air conditioning and heating units. 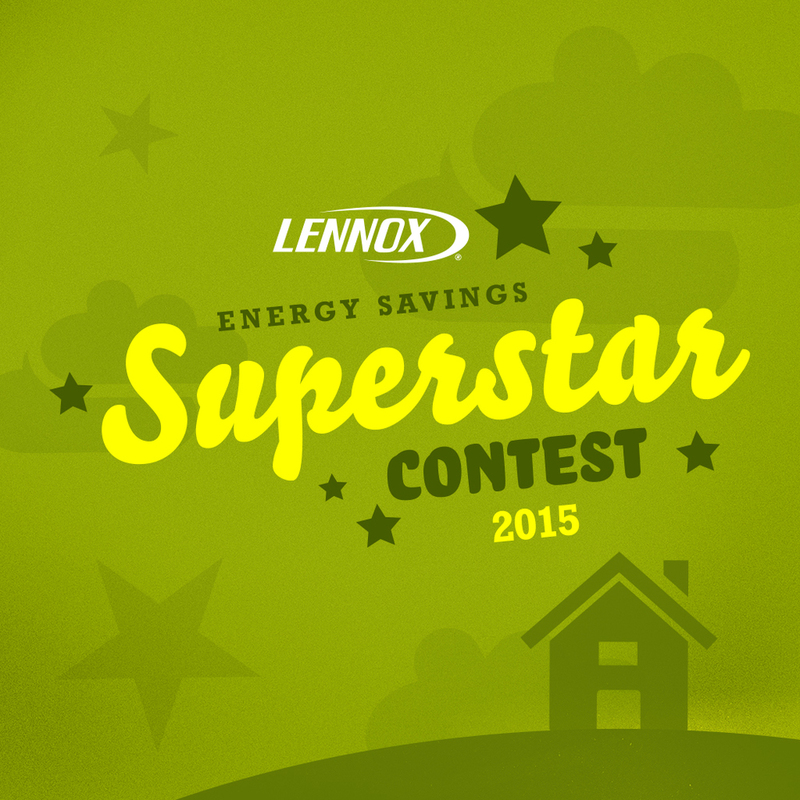 To give you some relief from the heat, they are throwing their annual Energy Savings Superstar Contest! Four finalists will be chosen by Lennox® and participants can vote on their favorite tip/photo to determine the winner. I have to admit that these prizes are awesome and can make all ages in the family pretty happy. I saw "a year's supply of ice cream" and jumped at the chance to enter. It just doesn't get any better than ice cream, people! Be sure to scoot on over to this page or click on any of the photos above to enter!